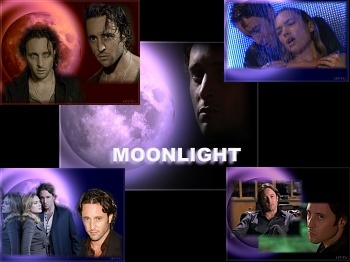 Twentyone slides with numerous images from the new CBS series, "MOONLIGHT", starring Alex O'Loughlin as Mick St. John, and Sophia Myles as Beth Turner. A modern vampire, private detective, who buys his blood at the blood bank! Images downloaded from, Official Moonlight site.Optional background music. Download free Moonlight Wallpapers from this screen saver. Screensaver copyright, ART-TLC ©.